Portrait of a young beautiful woman with red sunglasses in studio. 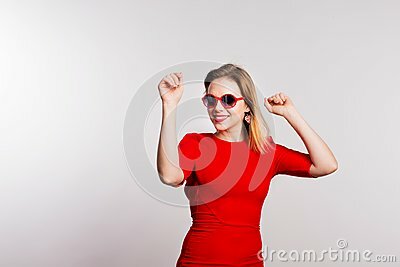 Portrait of a young beautiful woman with red sunglasses in studio, having fun. Copy space.